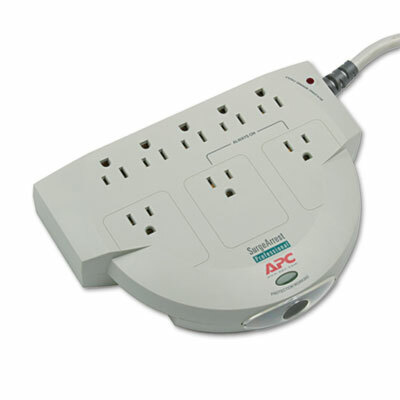 Prevent damage to computers and electronics with this professional-grade surge protector. Protection Working indicator warns if unit’s circuits are damaged. Wide-spaced outlets allow you to connect bulky transformer block plugs without covering up other outlets.